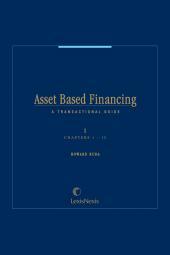 A complete start-to-finish guide to asset based lending focused on UCC Revised Article 9. The first complete guide to asset based lending is now the first such guide to focus primarily on U.C.C. Revised Article 9. Providing a how-to approach to structuring the loan transaction, monitoring the security underlying the loan, and proceeding in case of default, this transactional guide is uniquely designed for use by the practitioner. • The complete text of both Revised and Pre-Revision U.C.C. 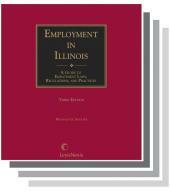 Article 9 together with analysis of the Revision and the Filing Process in a special volume. The ideal reference for commercial banks, commercial finance companies, thrift institutions, and attorneys representing corporations engaged in asset based borrowing. Howard Ruda is Counsel to Hahn & Hessen LLP, a New York City law firm with a large and long established practice in the asset based financing creditors' rights field. Mr. Ruda, a member of the New York Bar, has had over 30 years experience in representing financial institutions engaged in accounts receivable financing, factoring, sales financing, equipment financing and equipment leasing. 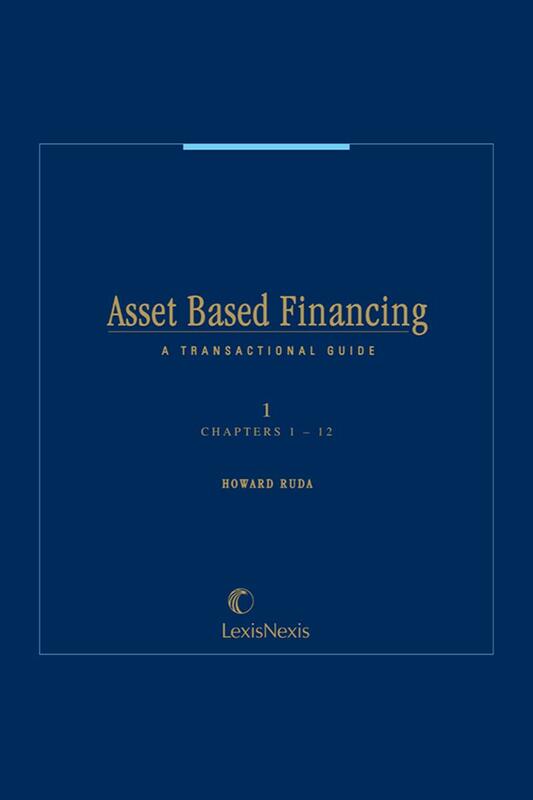 He is the editor of the four-volume Asset Based Financing: A Transactional Guide, published by Matthew Bender & Co., Inc. and a lecturer on secured lending at Continuing Legal Education programs (including the Practising Law Institute and American Bar Association). A graduate of Columbia University School of Law, he is a member of the American Law Institute, a Fellow of the American Bar Foundation and of the American College of Commercial Finance Lawyers, and has chaired American Bar Association committees on equipment financing and bulk transfers. He has served as ABA Adviser to the National Conference of Commissioners on Uniform State Laws committee that revised Article 6 (Bulk Transfers) of the Uniform Commercial Code and to the NCCUSL committee that is currently revising Article 9 (Secured Transactions) of the UCC. He was a Director of the American Bankruptcy Institute (10 years) and an Adviser to the American Law Institute's Restatement of Suretyship and Guaranty, and is a member of the Editorial Advisory Board of the Journal of Bankruptcy Law and Practice. 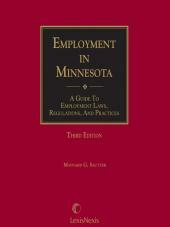 He is a member of the American Arbitration Association Commercial Financial Arbitration Panel.